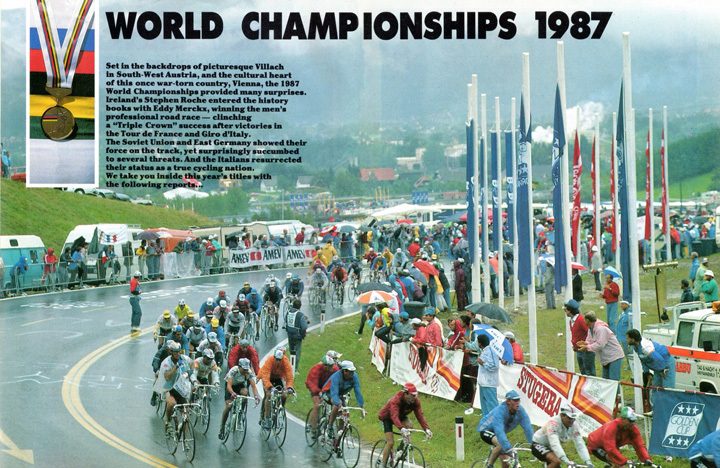 Thirty years ago, the World Road Race Championship in Villach was a 278 km challenge. 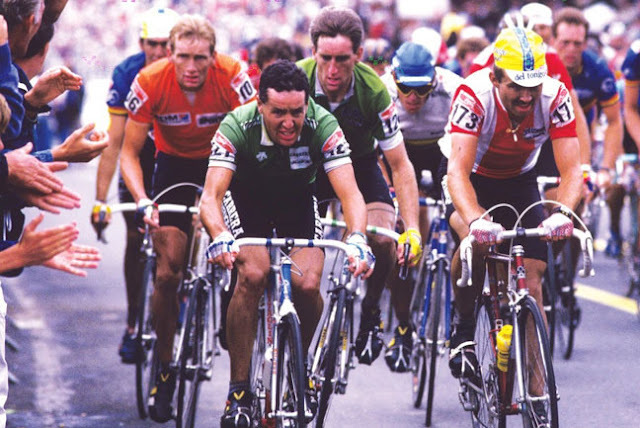 Sean Kelly was a favorite, when Kelly was left in the pack with a few kilometres remaining his team mate Stephen Roche took the chance for glory. 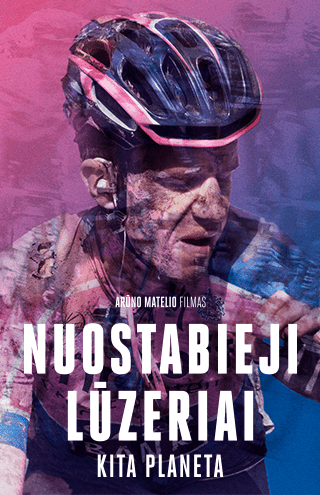 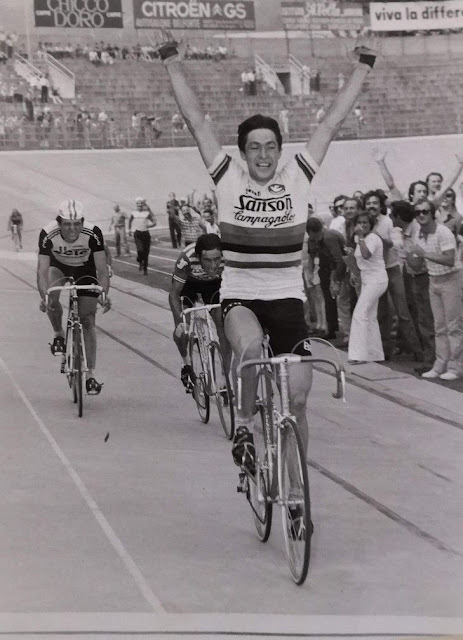 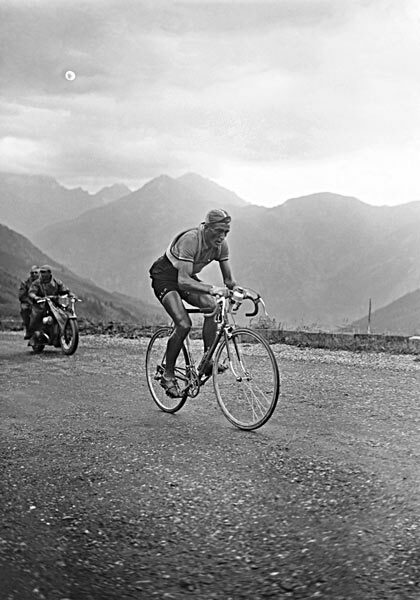 Roche made an attack and crossed the line just ahead of Moreno Argentin - making history and joined Eddy Merckx (1974) in winning the triple crown of cycling... which is yet to be repeated.